Armada Expands Strategic Cost Management-Brad Anderson Joins Established Firm, Armada Consulting, to Lead Financial Services Strategic Cost Management Practice. Brad is already engaged in promoting Armadas thought leadership in cost management, authoring the article – A View of the Current State of Banking and Strategic Cost Management available on Armadas website. I am excited to work with the Armada team to help expand their efforts to assist organizations make better business decisions. We feel Strategic Cost Management will be increasingly important for financial services companies and many other industries for the foreseeable future. 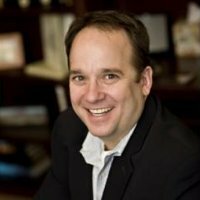 Prior to joining Armada, Brad was a Senior Advisor at a Global Consulting firm and executive manager at several rapidly growing financial services companies. Brad has twenty five years of industry and consulting experience in the Financial Services arena with an emphasis in retail and commercial banking. His professional and consulting background also includes extensive experience in budgeting and forecasting, strategic planning, risk management, risk adjusted profitability analysis, balance sheet management, mergers/acquisitions and process optimization. Brad has written and spoken to numerous organizations and publications on a variety of cost management and business performance improvement topics. Brad will office in Charlotte, NC. Armada has assembled some of the best and brightest talent focused solely on implementing strategic cost management solutions leveraging our Acumen cost analytics software. From insight to impact, the Armada team works closely with clients to provide deeper insight and transparency into the costs of their organization, driving better decisions around cost takeout and cost control. What sets Armada apart from other management consulting firms is our constant commitment to our clients success, both personally and corporately. Across a wide array of industries and practice areas, Armada has a proven track record of delivering results to many of the premier corporations in the world. For more information, please visit Armada Consultings newly revamped Website at http://ArmadaConsulting.com. Acuity Business Solutions, an award winning provider of software and business management consulting services, announces June R. Jewell, CPA, President and CEO, will be a featured speaker at The Zweig Letter Hot Firm Conference in Aspen, CO, October 24 -25, 2012. The Zweig Letter Hot Firm Conference is one of the premier conferences for the fastest growing and most successful architecture, engineering, planning, and environmental consulting firms. Executives and industry experts come to celebrate their success, share industry news, learn from their peers, and leave with the tools they need to make the coming year even more successful. ZweigWhite is a consulting and publishing company that helps leaders in the architecture, engineering and environmental consulting industries achieve their business and personal goals. Since 1988, when the firm was founded by Mark Zweig (and later joined by Fred White), ZweigWhite has offered an array of publications, services, and events designed to provide firm leaders with the tools they need to succeed. What began with a simple newsletter has grown over the last two decades to become a comprehensive suite of products and services, including newsletters, market research reports, seminars and executive education offerings, business conferences, and management consulting services covering virtually every aspect of business management. Visit ZweigWhite at http://www.zweigwhite.com. SmartSearch Marketing, a full-service B2B search engine marketing agency, and a Google AdWords Certified Partner, announced today that Karima Hamamsy, a Google Adwords Certified expert, has joined the SmartSearch Marketing Pay Per Click (PPC) Management team to boost capacity and enhance expertise for SmartSearch Marketing clients. All SmartSearch Marketing clients are guaranteed to have a Google AdWords Certified expert serving them as part of their integrated agency team. SmartSearch Marketing is a full-service B2B search marketing agency that helps their clients generate leads, acquire new customers and position brands online through search engine optimization (SEO), pay per click (PPC) advertising, conversion and usability, website analytics, and local search. Hamamsy will direct client PPC engagements and manage Google AdWords campaigns for the agencys B2B clients. Her expertise involves the optimization of online marketing programs across multiple platforms such as PPC search networks, video, mobile, social and display. As an individually qualified Google AdWords Certified expert, Hamamsy provides proven expertise in Google account management including expert knowledge of the latest AdWords features and functions for SmartSearch Marketing B2B clients. Individual qualification in the Google AdWords Certification program is a way of demonstrating proficiency in Google AdWords attained by studying for and passing the Google certification exams including one fundamentals exam and one advanced exam. Hamamsy previously held positions at Google where she provided support for a range of clients from small business to Fortune 100 travel companies. Her experience includes hands-on expertise in pay per click (PPC) advertising, online marketing, and search engine marketing. Hamamsy holds a Bachelor of Arts degree from Dartmouth College. SmartSearch Marketings uniquely successful approach to search marketing, called Search Lifecycle Management, maximizes customers results from a prospects first search all the way through to customer acquisition and sale. Project6 Design, a top Bay Area website design and Drupal development agency, launches a new site for Self-Directed IRA Investment Services Firm, The Entrust Group. The new website design better communicates the brands administration, information, and tools to make self-directed retirement investments straightforward and compliant. A key feature of the site is the custom built Learning Center, created to provide resources like webinars, case studies, articles and course-based events for individuals to better understand investment options and taking charge of their retirement. The Learning Center created an educational platform within Drupal and included: Salesforce CRM integration for seamless lead tracking and customized forms; online registration for events and webinars for a smooth user experience; filterable data to help answer frequently asked questions and sort through a depth of articles, blog postings about types of investments and plans; tagged content to allow the users to easily find relevant content that would help them learn about investments. The site also includes dedicated informational pages for The Entrust Groups satellite offices to better highlight personnel, locations, regional events and existing user logins. The Entrust Groups new website was built using the Drupal content management system (CMS), the worlds most the worlds most widely-supported, open-source CMS and a core component in the majority of Project6 Designs web development work. Drupal is a free, community based CMS web development platform used by organizations small and large, including Sony Music, AOL Corporate, Popular Science, Fast Company and the White House to name a few. We are very excited about the launch of the new website we created for The Entrust Group, said Esten Sesto, Founder and President of Project6 Design. Its a much cleaner and clearer presentation of their information, truly improving the overall user experience. The customized Learning Center has exceptional features to help educate visitors about investment options through engaging articles, tools, case studies and events. This section of website, as well as the How it Works, Plans, and Investments sections, will make Entrusts goal of creating well informed, self-directed investors even easier. Project6 Design, established in 2001, is an award-winning San Francisco Bay Area (Berkeley, CA) based graphic design firm that specializes in strategic brand, print, and website design and development services. Project6 Design is unique because of its strong emphasis on design and usability while still having the ability to implement web projects in-house (leveraging years of expertise in the Drupal CMS). From nonprofit to Fortune 500, clients include the University of California – San Francisco, eBay, CA Technologies, Lawrence Berkeley National Laboratory, Gap, United Way, Serena Software, and Old Navy. For more information, call (510) 540-8005, email info[at]project6[dot]com, or visit http://www.project6.com. Marketing Companies to plan and provide support for Viral Marketing campaigns to advertise about their products and new services either on YouTube, Flickr, FaceBook, Orkut and many more. SEO Company, New York, Internet Marketing Firm is one among the service providers who can actually help anybody with such requirements for promoting a product or service over the internet. The company has been into the field for quite a long time now and in this span of time the company has seen all the trends of the profile and promises to deliver the best results. This SEO Firm in New York has helped many organizations in the market and they are actually satisfied with the quality of service offered. The company has not just improved the services but has now come up with many discount schemes that will sure help. Viral marketing is long reach online advertising strategy, which is incorporated by the companies to promote their businesses online. It is an affordable and fast Internet Marketing strategy that gives effective results in comparatively less time as E-mail marketing, Mobile marketing etc. What’s more, the concept of viral marketing is also effective for introducing newly launched companies to the global audience. Online viral marketing is very useful to any business as it helps a business develop new business relationships and also wins back the lost customers as the message is spread to the target audience. The team of Viral Marketers at the SEO Company of New York, the Internet Marketing Firm specializes in creating viral messages that help to carry the name of the brand and increase its awareness and also are interesting so that people spread them on their own. This will ensure that the online marketing campaign is successful and fulfilling the objectives that it ought to fill. Their team is experienced and has graphic designers and visualizers, which make attractive online viral marketing campaigns using their innovative ideas and experience of many years. The team of innovative Viral Marketers at Internet Marketing Firm works on the creation of the viral marketing message by employing all that hard work and long brain storming sessions. It is the sincere hard work and conceptual development of the marketing message that eventually helps in creating appeal among the global internet audience. The result is evident in the form of high conversion rates, and increase in the product visibility. Internet Marketing Firm offers a client with customized and dedicated Viral marketing campaigns that are exclusively designed to increase the prospects of a business. The firm offers intuitive strategies that will help in promoting the products and services through the Viral Marketing. All viral marketing campaigns are designed around the concerned products and services. San Francisco modern architecture firm Hart Wright Architects has moved their office to a new location. The firm is a growing success and they decided it was time to move to an office that reflected their growth. Their new place of business is now in San Franciscos Mission District, a neighborhood well known for its restaurants, cultural venues and artist studios. There is ample public transit nearby and the location is central to the San Francisco downtown and other well-known neighborhoods. We are excited to be in a space shared with creative professionals and we can’t wait to collaborate and share ideas. Principal Eliza Hart has separate masters degrees in both Architecture and Urban Planning from UCLA. Before forming HWA, Eliza was employed at S.F. Bay Area firms Studio Bergtraun Architects and Sagan Piechota Architecture. She has worked on a variety of residential and commercial projects, including remodels as well as new construction; with extensive experience spanning the full range from schematic design to construction documents to construction administration. Eliza also has a background in urban design and worked in Los Angeles with urban designer, architect and author, John Kaliski on a variety of projects. Her B.A. is from the University of Pennsylvania. Principal and architect, Stuart Wright, has worked on a broad range of architectural projects and he bridges the gap between design and building. Prior to forming HWA, Stuart worked at Studio Bergtraun Architects, and before that at Sagan Piechota Architecture, specializing in modern residential projects. He is attentive to detail and knows that details are his best architectural expression. Stuart received his Master of Architecture at UCLA and studied at the Technical University in Vienna, Austria and at Studio Daniel Libeskind in Berlin, Germany. He holds a B.S. in Architecture from the University of Michigan. Hart Wright Architects’ new office is in The New Black or NWBLK, (http://www.thenwblk.com/) an American design and build headquarters with a 6000 square-foot retail gallery featuring an edit of relevant contemporary furniture, applied arts, and the objects of utility defining the 21st Century. The NWBLK brings to San Francisco a roster of yet to be seen designers, and products international in scope. With an in-house fabrication workshop, the NWBLK prototypes furniture and products for clients, and builds custom environments for events and exhibitions. The NWBLK design offices provide a collaborative work environment for Hart Wright Architects, Lindsay Chambers, Hazel.wood Design Group, Steven Miller Design Studio, and more. Eliza Hart and Stuart Wright are looking forward to all the collaborative opportunities the NWBLK will have to offer. Hart Wright Architects is a green architecture, urban and landscape design firm based in San Francisco serving clients in Palto Alto, Atherton, Napa, Mill Valley and most of the Bay area. Through all phases of design and construction, HWA is committed to excellence in architectural design solutions, active problem solving, and the highest standards of client service. They recently became certified DBE for being a woman owned architecture business. Attunity Ltd. (OTC BB: ATTUF), a leading provider of information availability software solutions, announced today that Bangkok-based global design firm design worldwide partnership (dwp) has selected Attunitys managed file transfer solution, Attunity MFT (formerly known as RepliWeb RMFT), to expedite and streamline large file transfers to improve client satisfaction, optimize operations and increase productivity. As an award-winning integrated design firm, dwp works with international clients to present iconic designs. Since providing partners with an efficient and stress-free mechanism to receive and send files reinforces dwps reputation for quality service, implementing a managed file transfer solution that reflects that philosophy was of paramount importance to dwp. Prior to implementing Attunity MFT, various technical issues made it challenging for dwp to send multi-GB design, graphic and engineering files. Our objective was to improve productivity and the user experience associated with exchanging large project files to and from clients, partners, suppliers and project sites, explained Niwat Lertnamvongwan, Group IT Director, dwp. Since using Attunity MFT, dwps project and IT teams alike have saved more than 40 hours per week in managing file transfers equal to an impressive $ 145,000 savings per year. It has been an extremely beneficial solution for our organization. Our ability to address dwps operational needs for sending large-file payloads and helping to secure the exchange of high-value intellectual assets is something that we take great pride in, stated Garrick Herrmann, Vice President of Sales at Attunity. It is satisfying to know that Attunity MFT delivers cost savings and ultimately improves our customers respective businesses. Since retaining Red Banyan Group to provide litigation support and overall public relations strategy, The Lerman Law Firm has reported receiving invaluable tips and hundreds of pages of critically important information from people across the country. The Lerman Firm, along with a team comprised of experienced attorneys from well-respected law firms, is currently pursuing a pair of high-profile class action lawsuits. One suit was filed in Los Angeles Federal District Court on behalf of hundreds from all across the United States who were allegedly swindled in a series of Ponzi schemes (Case No.CV12 03322). A second suit filed in the same jurisdiction (Case No. CV1203305) targets self-directed IRA Custodians including Equity Trust Company and The Entrust Group, which are accused of helping facilitate the schemes, according to court documents. The suits have been the focus of attention in a wide range of top media outlets including Nightline and The Wall Street Journal. Dozens of conscientious men and women have come forward, contacting us and providing detailed information about what took place with a multitude of alleged investment schemes using these Custodians, said Lerman Law Firm Founder Cathy J. Lerman. Once word started getting out around the country about our lawsuits, we heard from many who wanted to join the suit. Just as importantly, we have also been contacted by a large number of honest people who have supplied us with detailed information that will prove invaluable in pursuing justice. The Lerman Firm and the hundreds of plaintiffs owe a debt of gratitude to Red Banyan Group for helping spread the word about what has taken place. Red Banyan Group is a unique,top ranked South Florida public relations agency that focuses on strategic communications and crisis PR. Red Banyan Group also provides litigation support and legal public relations counsel. The respected Florida PR firms clients include privately held and public companies from a number of different industries. Red Banyan Group is a top South Florida PR firm that combines substantive understanding of complex issues with the experience and skills to execute campaigns that deliver results. From media relations, corporate communications and crisis PR to copy writing, media training and event planning and production, Red Banyan Group provides an integrated approach to communicating rooted in strategy. Become a fan on the Red Banyan Group Facebook page, and visit the firm’s blog. San Francisco Bay Area branding and website design & development firm, Project6 Design, proudly announces the launch of a new website for Cogent Legal. 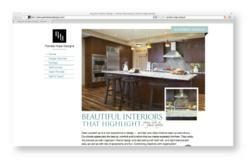 The new website features a compelling home page design with an easy-to-use navigation. Additionally, the site boasts a customized portfolio review section that provides sample images and videos of their litigation graphics and trial strategy work, as well as compelling news items and testimonials. The site also includes a client login area for Cogents clients to login and view secure documents related to trials. Project6 built the new website with the Drupal content management system (CMS), which allows Cogent Legal to easily add new content to keep the site both relevant and engaging. Even though Im an attorney and our clients are other attorneys and law firms, I didnt want Cogent Legals site to look like a law firm site, said Morgan C. Smith, Esq., president and founder of Cogent Legal. I wanted it to look more like an architecture firms site, with clean, modern lines and a visually engaging, easy-to-navigate portfolio of images. Searching for a web design and branding firm that could understand and implement this vision, I went outside the circle of design and marketing firms that have built sites for many law firms to find a design firm whose portfolio conveyed the look and feel I wanted to emulate: Project6 Design in Berkeley. They guided us through a process that dovetailed with my firms strategic planning insofar as it forced me to really think about and better understand the client base and their needs, as well as refine the firms goals. Our team was just the right size for Cogent. Small enough to have excellent customer service and attention to detail, yet large enough to have the experience and expertise that really fit with their vision, said Esten Sesto, Founder and President of Project6 Design. Its really fulfilling when we can help a business in their efforts to grow and evolve. Cogents new website will serve as a marketing vehicle as well as a communication tool thats customized for their unique needs. Cogent Legal was a great partner in this project and we are really proud of the new website we have created for them. Project6 Design, established in 2001, is an award-winning San Francisco Bay Area (Berkeley, CA) based graphic design firm that specializes in strategic brand, print, and web design and development services. Project6 Design is unique because of its strong emphasis on design and usability while still having the ability to implement web projects in-house (leveraging several years of expertise in the Drupal CMS). From non-profit to Fortune 500, clients include the University of California – San Francisco, eBay, CA Technologies, Lawrence Berkeley National Laboratory, Gap, United Way, Serena Software, and Old Navy. For more information, call (510) 540-8005, email info[at]project6[dot]com, or visit http://www.project6.com.